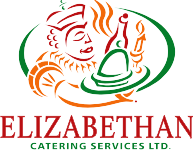 Insurance - Elizabethan Catering Services Ltd. The proper certification of a business is very important, especially with so many home based, unlicensed “caterers” around. We are incorporated under the Alberta Registries Act. We are insured with $2,000,000 liability with our vehicles and business. We have a Health Board Certificate. Our WCB Account Number is 266899. Did you know that any claims by a guest or staff member against an uninsured Catering Company with no WCB coverage, will come straight back to you, personally. This is in no way designed to impress you, but impress upon you of the importance of dealing with a properly licensed company.